The colder weather that arrived in the Rio Grande Valley this week will continue and so will the heavy rains. 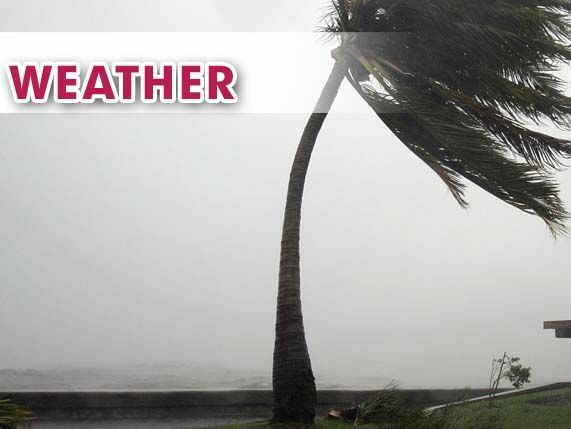 Forecasters with the National Weather Service in Brownsville say heavy rain and possible severe thunderstorms are forecast for tonight through Thursday night. An upper level disturbance will gather moisture from a tropical wave in Central America, plus a stream of moisture that stretches from the Pacific Ocean, across the eastern coast of Mexico and into East Texas. The NWS says two to four inches of rain are possible through Thursday night,with the higher totals along the coast in eastern Cameron and Willacy counties, from Brownsville to Raymondville and further north. Much of Cameron County is expected to receive one and a half to two inches of rain and the Upper Valley one to one and a half inches. Barry Goldsmith, warning coordination meteorologist with the National Weather Service, says after the system passes through light rain and drizzle will continue through Saturday and then another line of storms will arrive. “Later Saturday into Sunday, another round of heavy rain may develop, courtesy of another reinforcing front coming from the north that could “squeeze” and lift the remaining moisture into heavy rain and thunderstorms,” Goldsmith said. Over the next week rain totals will range from two to five inches, with the possibility of up to seven inches in the Lower Valley. The temperatures in the mornings will remain in the 50s while the afternoon highs will reach the mid 60s today and Thursday, finally reaching into the 70s on Friday and through the weekend.